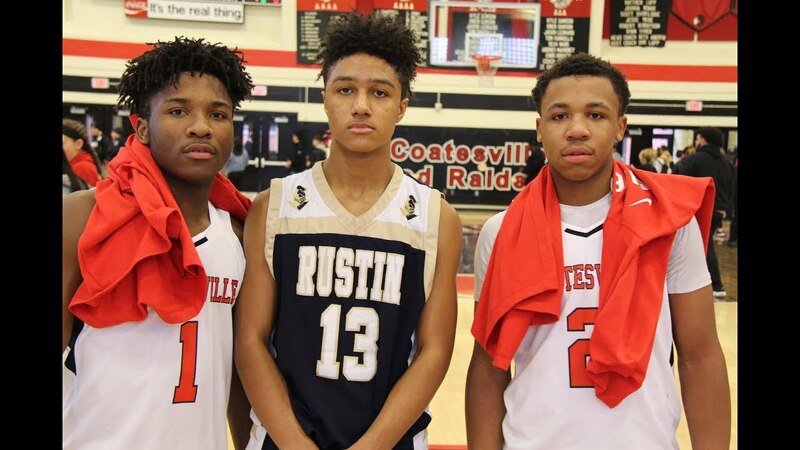 Coatesville vs Rustin featured some dynamite point guards and Big Star & Raw Sports was in the building to capture the action. Coatesville’s Jhamir Brickus (2020) is a division 1 prospect, and his brother Dapree Bryant (2020) will most likely play Division 1 football, but he’s an amazing guard with high IQ, great ball handling, and attacks the basket. Rustin’s freshman guard IV Pettit will be a name to remember, he was on fire from the 3 point line and showed glimpses of his overall skill set.